Last month we were blessed to host His Eminence KYRILL, Archbishop of San Francisco and Western America, and His Grace THEODOSY, Bishop of Seattle, to celebrate our 30th Anniversary as a brotherhood. There is an article on our Diocesan Website about the event. Click on the Diocesan link here to read more and see photos. 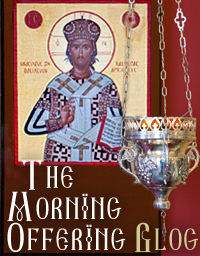 Following the foundation of the monastery in 1986, we chose to dedicate it to Christ Our All-Merciful God and Saviour. Thus began a journey that would lead Father Paul and me to a deeper commitment to Christ, even though it proved to be a difficult path, with many trials and hardships along the way. I remember a night when I sat up crying, and in the depths of despair, because our former bishop had turned against us, and as a result, we’d lost all financial and spiritual support from most of those we loved, and depended on. Father Paul, my co-struggler, stood by me when others could find no good in me. We, together, suffered greatly during those early years. These were times when we were misunderstood, and ostracized by most. This was also a period of extreme poverty, when we knew not where the next meal was coming from, or how we were going to pay the rent. 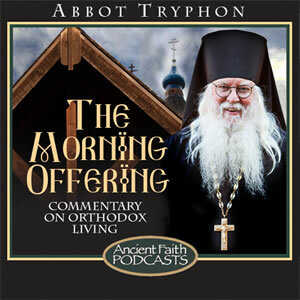 At one of the lowest points in my monastic struggle, I remember going to Father Dimitry, and asking his blessing to leave for the Holy Mountain of Athos, feeling that I’d totally failed in establishing a monastery. He told me that my salvation was on Vashon Island, and that I should continue my struggle where God had planted me. 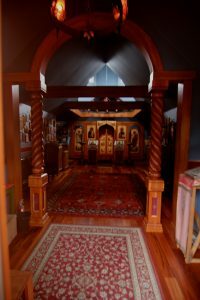 The passing of time proved my Spiritual Father to be correct, and that this monastery exists is proof that Father Dimitry knew God’s plan for Father Paul and me. 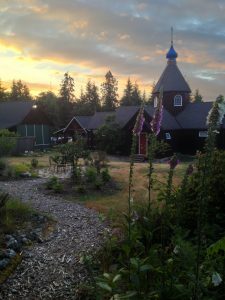 This beautiful monastery, in a forested setting, and on an island in the Salish Sea, is truly a miracle, and I am grateful that God has blessed me to be a part of it, however small and insignificant I have proven to be. When Father Dimitry told me that my “salvation was on Vashon Island”, I found myself thinking that this was utter nonsense. How could this possibly be true, living as we were in a rental house, with no prospects of owning property, and seemingly no viable way of building a new monastery in the Puget Sound region. However, I knew as a monk that I was bound by my vows of obedience to my spiritual father. I also believed, as did many, that Father Dimitry had been blessed with the gift of clairvoyance, and that he undoubtedly saw something in the future that was hidden from me. So I withdrew my request to depart for the Holy Mountain, and renewed my commitment to Vashon Island as the place God had chosen for me to work out my salvation. Once we were gifted with the original five acres, I suffered a physical attack by a neighbor who did not want a monastery next to his property. Yet the Lord, in His great mercy, allowed us to eventually purchase this neighbor’s land, so we now have sixteen acres, bordered on two sides by a forty acre water shed. Giving up and walking away was never an option, even though we were hated, for we knew our monastic struggle must continue. 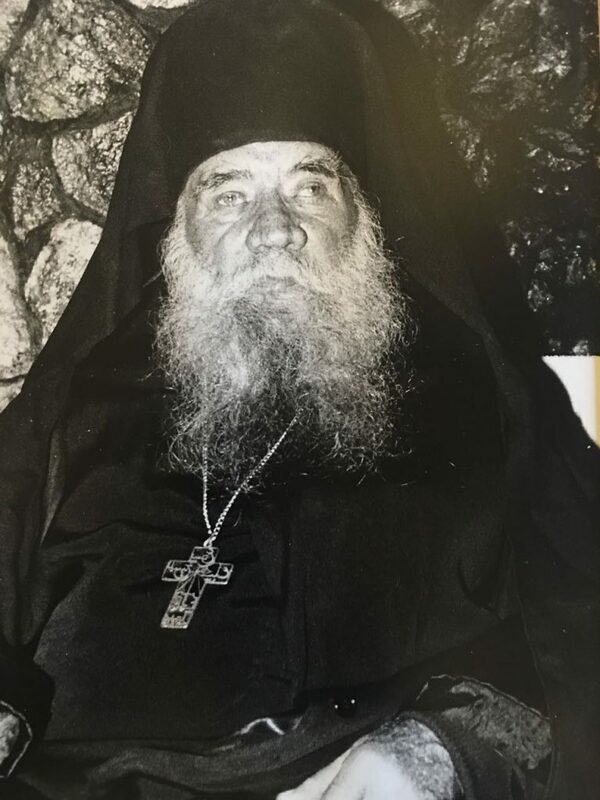 My spiritual father, Blessed Archimandrite Dimitry, had suffered great humiliation and slander during his many years as a monk, and counseled me to keep my eyes focused on Christ, and not to put my trust in any person. His loving counsel gave me strength during a time when I did not receive support from those in authority over me. It was the Elder Dimitry’s holiness, and his unwavering joy, that served as a beacon to me. The freedom a monk experiences in being obedient to his Elder can not be exaggerated, for such obedience is as unto Christ Himself. There is no other way that is more time tested as monastic obedience, for the crushing down of the ego and the taming of self-will, has to be the ultimate goal of every Christian. 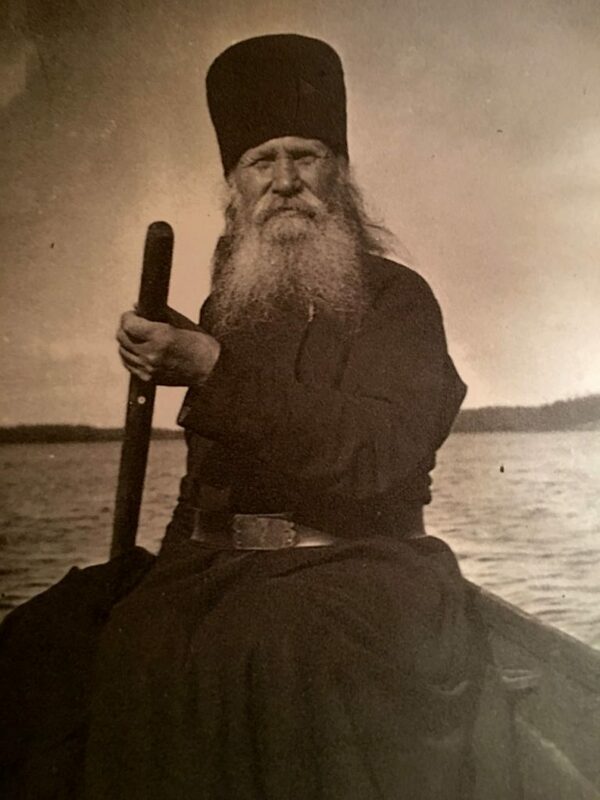 My saintly Elder was himself schooled in such obedience, for he had been formed by the thousand year old Monastery of Valaam in Russia, before being forced by the invading Soviet Army to flee for Finland, and finally, Paris and the United States. My Elder’s own spiritual father had been none other than the Abbot of Valaam, Chariton, himself renowned as a great elder and spiritual father. And I, as the spiritual son of Archimandrite Dimitry, and the spiritual grandson of Abbot Chariton, have been blessed by God to have their example of holiness and monastic commitment, as my guiding light in world of confusion and darkness. In June of 1991, my elder reposed, and the loss for all of us who were his spiritual children, was devastating. 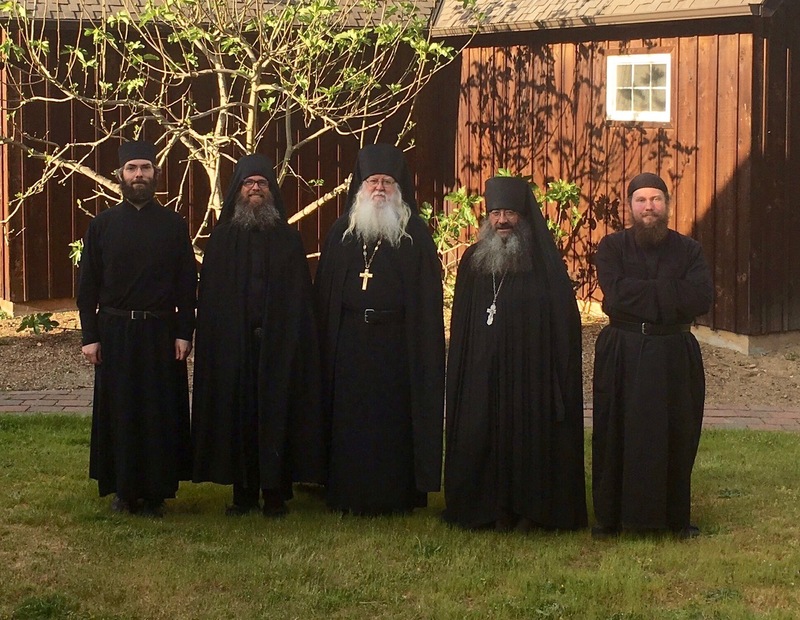 Following the funeral service, which took place in the small chapel of the Kazan Skete in Santa Rosa, where Mother Susanna, my spiritual sister, is abbess, we all drove to Healdsburg, for the burial. Northern California had been suffering under a severe drought, with the usual rainy season having passed, and the whole region parched for lack of rain. Yet on the morning of the funeral the skies opened, and we were hit with torrential rains that lasted all day. During the drive to Healdsburg, where the Elder’s holy relics where to be laid to rest, it poured so hard we could hardly see the pavement ahead. For Russians, it has always been seen a sign of God’s blessings for it to rain on the day of one’s burial, as though the heavens themselves were weeping. The very next day, the region was returned to full drought conditions. Since those days, I have always felt the prayerful support of my Elder, and I am comforted with the knowledge that one day, if God permit it, I will be sharing, once again, the joy I felt whenever I was in the presence of Father Dimitry.